Strength training is an essential element of fitness for virtually every sports man and woman. 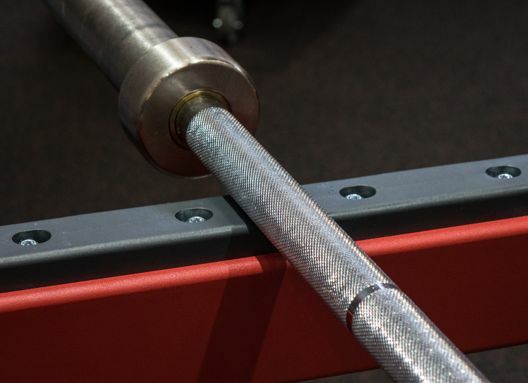 Long gone are the days when coaches believed resistance exercises only added unnecessary bulk to the athlete, hindering their ability to execute skill. The benefits of strength training to athletic performance are enormous and many. Not only is it an integral conditioning component for power athletes such as football and rugby players, performance in the pure endurance events can be improved with a well-structured strength routine. 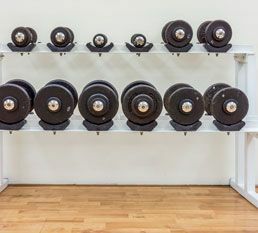 However, aside from perhaps bodybuilders, sport-specific resistance training requires a more refined approach than simply lifting heavy weights to complete exhaustion. A physiological analysis of any game or event will confirm that most athletes require explosive power, muscular endurance, maximal strength or some combination of all three in order to excel. Rarely is pure muscle bulk the primary concern and when it is, other elements of strength are equally. G.F.F. is the customer relations office for the world’s best cardio equipment factories network. We arrange cardio equipment productions for multinational sports companies as well as young brands within our broad network of globally reknown factories. Get in touch with us if you plan on producing cardio equipment. Our network focuses on both sides: Delivering the world’s best quality for cardio equipment and enabling brands to manufacture at the lowest price possible. It’s up to your production’s requirements. Arranging productions abroad normally comes with uncertainties and surprises - not so with G.F.F. We track international regulations on import and export, we know the strengths and weaknesses of our manufacturing partners, and we will use our broad international manufacturing, export and import knowledge to help you arrange a flawless production. When working with our factory partners in China, Vietnam, Bangladesh, or any other country, we will support you by giving helpful tipps on how to best arrange productions at our partners’ factories, which key points to remember, and we send you a note if you oversaw or missed a key point in your communication with the factory. 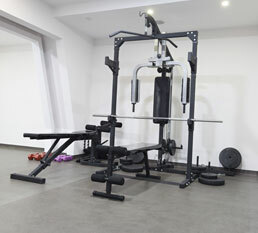 We will find the most suitable factory for your cardio production, and introduce you to their production team. You know a brand, which you believe has the best fitness equipment or fitness workout clothes? It is very likely that we know your preferred fitness brand’s manufacturer. Make sure to let us know the brand name. We will suggest the brand’s manufacturer, to contact you. Barbell manufacturer sample set. Barbell with red weight plates. Neoprene dumbbell made of foam and metal. Inside and outside materials close up. reactangle dumbell with rubber coating Crossfit sling trainer bands are commonly made of PP or Nylon. The fabric can be dyed in any color. Small quantities are possible in yellow, red or black. Logo embroidery and screen printing are most popular. Door training stations are made of metal frames with foam or rubber coatings. Door training stations are a popular option for functional training at home. The end of the frames are covered by pvc/ rubber safety plugs. Abdominal exercise double wheel rollers are made of ABS, PP, and EVA. The wheel diameter varies based on the intended usage from around 15cm to 20cm. The logo is commonly added by screen printing.